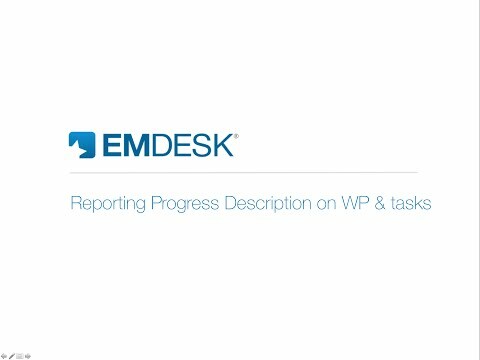 We compiled basic information and first steps as a helping hand to get started with EMDESK. Contractor Rights – permits the user to only to edit information on his contractor and and all activities in the work plan that are led by their contractor according to the work plan (as defined by work package or task leader). In addition, the read or edit access to Deliverables or Folders/Documents in the Document Manager can be managed per User/Group. How to get access to a project on EMDESK? To join a project, you need to get invited and register an account. Contact your project coordinator and ask for a project invitation email. Click on the link provided in the email and follow the instructions. 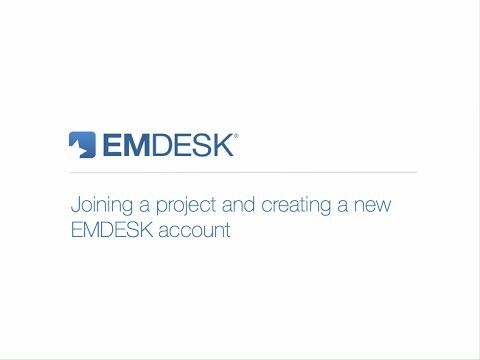 To learn more about how to join EMDESK, please read this article or watch our tutorial below. How to login to EMDESK? Open your web browser and enter https://emdesk.eu, then enter your username (not email address) and password, and click login. If you blocked your account or forgot your password, please reset your password. Do not remember your username, please read here. You can read more about login here or watch our tutorial. How do I update my profile data and manage my account? Go to myEMDESK > Account Settings. Here you can upload a profile picture, update your profile information and change your email address. Click “System Information” to change your username or password. How do I manage email notification and reminders? Learn all about how to customize the notifications in EMDESK to your personal needs here. To report the descriptive progress report for a reporting period (Interim and Periodic reports), go to Implementation > Reporting > Progress. Watch our tutorial below or read this help article for further guidance. At Implementation > Reporting > Resources, you can report the person-months consumed during a reporting period. Watch our tutorial below or read this help article for further guidance. 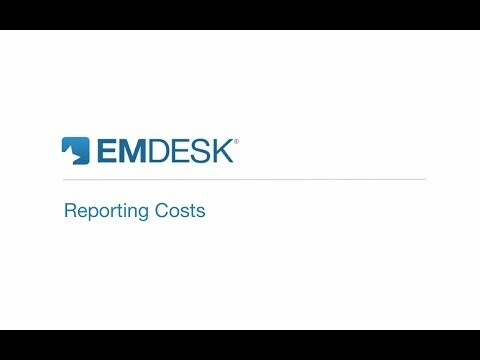 At Implementation > Reporting > Costs, you can continuously report costs for your project participant. Costs are recorded within the periods of the Periodic Reports and until the report’s due date (set by coordinator). Watch our tutorial below or read this help article for further guidance. Read further here, how to import costs from a CSV file. The shared document manager is available via the Collaboration menu at the bottom. Click on Documents and then on Documents Manager. To learn more about the document manager, browse and read the following article here. How do I find contacts details of other users? To find contact details of other users and contacts, click Collaboration on the bottom menu and choose Contacts. 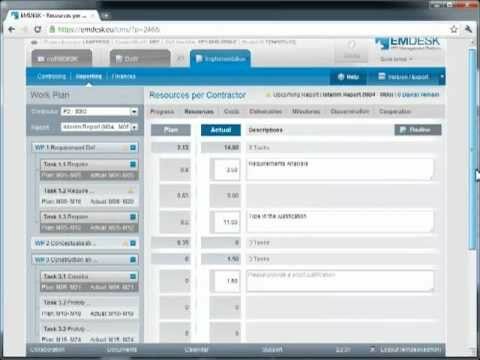 For further questions, please browse our help center at www.emdesk.com/help or contact technical support support@emdesk.com. We have additional video tutorials that will help you get started quickly available through our website. EMDESK also regularly invites its users for free public webinars on specific topics. To stay tuned subscribe to our Newsletter, follow us on Twitter or LinkedIn. Suggestions for topics to be presented in our webinars are always welcome. Just send an email to contact@emdesk.com. PreviousWhat happens to my data after the project end? Can I still access the project data?